The Paw Print Student Newspaper officially launched this September by English teacher, Mrs. Jennifer Howard, and her students in 9th-12th grade. This team of young journalist work for the school and community, covering causes that people care about. They work in the various forms of journalism such as sports journalist, photojournalists, editors, reporters, and many more. 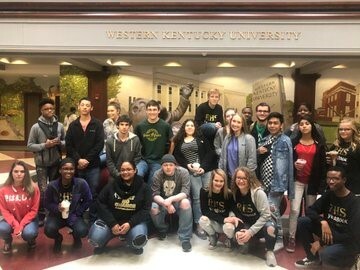 On Friday, Nov., 16, Mrs. Howard’s student newspaper class and Mrs. Juli Link’s yearbook class attended the Journalism Scholars Day at Western Kentucky University. There was a large crowd of students from different schools who came to the event. The RHS group arrived on campus in the chilly morning. The students went inside, walked up the flight of stairs, checked-in, and started the first activity of the day - the Info Fair. Representatives of WKU sat at booths and handed out pamphlets and information packets on the opportunities at the college for students interested in the field of journalism. The seminars commenced soon after, and the students were free to attend their preferred sessions throughout the day. There were a total of 19 different sessions students could choose from. Some of the speakers were professors, editors, and magazine journalist and their topics ranged from “The Art Of Interviewing”; “Tell Stories Through Pictures”; and “Covering Entertainment And Celebrities With Real Journalism”. During the break times, the students came together and shared what they learned. 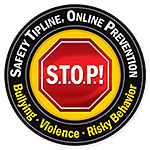 Most people only see the competitiveness in Journalism, but the Paw Print and Yearbook foster healthy, constructive relationships. Once the sessions ended, the RHS group came back together and watched the Yearbook Finalists Contest while cheering on the other representing schools. The event officially ended after the awards ceremony, but RHS was lucky enough to go on a tour of the Mass Media Technology Hall. They even toured the building that houses WKU’s journalism team, The Herald. Most of the group left for lunch, but Mrs. Howard, Hayle Sharp, and Matthew Williams stayed behind to ask the Herald a few questions. They discussed many different topics and gained wisdom from the Multi-platform News Advisor, Carrie Pratt, and her team. Finally, they went back to the main campus and ate lunch at Chick-Fil-A. They came back to school at 7th period and brainstormed ideas for the future. The Paw Print has a lot of new things to come for the student newspaper. Their biggest hope is to make history in real time, and we know they will. Special thanks to Mrs. Howard and Mrs. Link for developing our Panthers into young journalist!